The new release of Seastones in now available in our online store. The new two CD set presents most but not all of composition as originally composed. 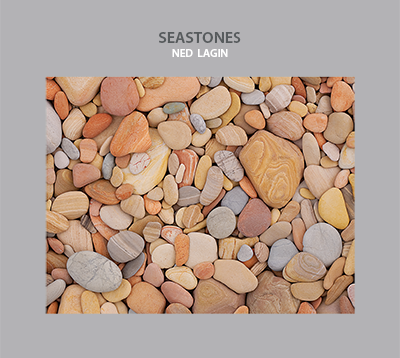 For this release, Seastones has been re-mixed and re-mastered in stereo, and includes most of the original 1970-1974 studio (core) forms (almost all have never been heard before), as well as the parts of my concurrent composition L that are shared with Seastones (L remains unfinished), and some of the moment forms generated and accreted into the compostion from live performances (1973 - early 1975). Another set of CD’s to be released later will complete Seastones and include “Make a Cat Laugh” (the planned Round Records and carried over to United Artists second Seastones album based partly on the March 17, 1975 (birthday) Seastones studio session), and other 1975 studio recording sessions), more live accreted forms, the few remaining original Seastones core forms not included in this present release, and utilizes digital audio technology and processing imagined in the original composition of the time but only avalable after I stopped live and studio performance. Seastones is an open studio form (and a improvisational performance form) composition, and this release, unlike the original 1975 vinyl LP and the 1990 CD version, follows the original compositional intent of creating mobile musical forms for open nonlineal random access media listening. The 1975 and 1990 versions layered multiple forms into sections in one lineal sequence. The number and ordering of Seastone’s constituent moment forms (musical compositions, tracks) are not meant to be listened to (or played live) only as one fixed linear progression. Instead, Seastones is composed as an “emergent whole” of different orderings or sequences of the consituent moment forms. There is no one beginning, middle, or end. The listener can choose one or more or all of the moment forms (tracks) in any desired order to make a set or collection (performance) of moments. The technology used for this release, with the exception of software noise removal, was limited to that available at the time of the original recording, or software versions emulating the studio processing capabilities of the time available to me. The sound quality is very good. The new release of Seastones in now available in our online store. You can also read listener reviews. Whenever I walk along the beach I find myself, like so many others, picking up stones cast up or uncovered by the waves. Each stone calling out and insisting on being picked up, to be held and experienced. Each one different, with its own shape, and color, composition, and surface texture. Each a unique presence, each a droplet of time, a moment form. Each stone a little fragment of another place and time. Some are just one mineral, some made of many; some are crystalline; some magnetic; some meteorites from the birth of the this solar system or the universe; some contain fossils of ancient lives and little life form's, their stories imprinted. Ephemeral existence. And each charged with its own storied experience of presence and absence, of the ever changing conditions of ancient oceans and atmosphere, of ancient rain and heat and cold and wind, of sunlight and darkness, of the passage of individual living beings and of entire species. Charged with the wildness of billions of nights and days, an immense "timescape" (time "landscape", time spatialized), under the ocean or buried in the sand amongst countless other stones. The stones always seem to contain stories I need to see and read and hear. Stories to think about, meanings to absorb; a different story or meaning radiating out of each and every individual stone. Stories about origins (igneous, metamorphic, sedimentary), about journeys down rivers eroding ancient mountains with their forests, journeys to far away beaches. There are some stories which include biological memories, the words and songs of countless creatures from microscopic phytoplankton and zooplankton to the largest animals. And some stories that have galactic themes. And from the sea the voices, harmonies, modulations, rhythms and tonalities of it's aliveness and presence, the sea around us and in us. I learned to see all the seastones and the seashore as a composite universe of individual moments seen and heard and felt all at once, a whole, felt-all-at-once mosaic of individual timescapes. Moments of different type and scale and dimensionality gathered together in a special way to form a sensuous whole. Each with the kind of time (and space) sense or intuition held by modern physicists who no longer try to contain events or things in time (or space), but think of each event or thing (or moment) as making its own time (and its own space). - We live within and not separate from all the things we perceive: clouds, surf, the green and yellow beach grasses, the small wavelets of water disappearing into the beach sand, and the wild sea stones. - The world, the universe, is still being made and we, our bodies and minds, are part of nature, of the world, of the universe. We are biology, and geology, chemistry, physics, cosmology. Our bodies are made of elements that once were (and will be again) in the bodies of other organisms, and in rocks, in streams, in plants, and in the oceans and in the sky, and originally came from the stars. Our thoughts and feelings (and those of all other life forms) are nature, like waves and clouds, rocks and water, grass, flowers, trees, forests, hills, streams. As is the music we play and sing, the pictures we make, the words we write. Star dust becomes life, desire, love, spirit. - Life moves through moments of form, and beauty can come from a collection of carefully selected (or crafted) moments perceived not as a linear sequence or progression alone, in which the present moment is the consequence of the previous one and the prelude of the coming one, but perceived all at once, shimmering and alive with movement and energy, outside the illusion of a linear and continuous flow of time. The wild sea stones reaffirm both the mystical connectedness and the solitary ephemeral presence of all things. The composition of Seastones encompassed a time (1970 and before) when the world was filled with the promise of new ideas and a hopeful and positive future. 20th century art and individualism and modernism, science and technology, satellites and space travel and moon landings, transistors, miniature electronics, new chemistry and physics, and a new beginning of ecological and environmental consciousness. And characterized by cultural metaphors of creation and synthesis associated with science, especially electricity and electronics, and aesthetic ideas inherent in 20th century visual arts, literature, and music. All becoming part of the imagination of the composer. Not experimental, but making present the imagination through new forms, processes, and means of expression. Seastones is a collection of pre-compositional philosophies (reflection and spontaneity, formalism and intuitionism, composition and improvisation) and the electronic music compositional practices and technologies of the time: musique concrete and magnetic tape composition (the cutting up and assembly of many small pieces of tape); analog additive, subtractive, FM synthesis; digital, hybrid analog-computer control; sequencer; mathematical, tochastic, aleatoric, noise, random, generative. Seastones was composed over the course of more than five years and spans the period from analog magnetic tape composition and electronic synthesis to the beginnings of digital audio synthesis and control. Composing Seastones started on paper as hand written graphical and musical scores, tape recorder track sheets, and text notes. Scores, track sheets, and notes for recording, for sub-mixes and composite layering, and for over-all mixing as the creation of Seastones moment forms progressed. Over time, multitrack recording tape (as audio “scores”) and tape composition replaced some but not all paper for composition. The compositional tools for both the studio realizations and live performances of Seastones were acoustic, electric, and electronic instruments, the composed electronic transformation of voice (words and tones) through modular analog synthesizers, early hybrid analog-digital and computer hardware and software, ensemble interaction through instrument interconnection, as well as magnetic tape composition through cutting up and assembly of many small pieces of tape, and 16 track tape recorders which allowed for complex layered composition. When I was young playing and improvising on the piano I evolved my own ideas about individual moments as musical forms and forms of time, derived from music associated or made for TV, radio, movies, composed music that I knew, and jazz improvisation. (I learned when I was older that the term "moment form" had been used by others to describe their own music). Seastones moment form compositions are individual, independent, self-contained forms. They are synthesized and/or played, improvisational forms. Like real seastones, they are each a placetime, a time island, a droplet of time. The scalar and spectral use of rhythm and pitch as macroscopic and microscopic aspects of one vibrational time continuum of sound provided coherence and form-creating structures. Some are historic music forms, some are free forms. Others are metaphoric abstracted forms and synthesis models for music composition and for improvisational processes derived from natural history and biology and geology, electronics and electricity, physics and quantum mechanics, radio and television and movies, as well as from other creatures. An important Seastones compositional and improvisational dimension dating from 1970 allowed the identity of the players and their creative musical personas to manifest in other ways in addition to directly as individual identifiable audio. In Seastones, recorded and live, instruments and voices were not only processed separately and individually, but also were electronically and compositionally interconnected and processed through analog and hybrid analog-digital synthesizer modules. In this way, one musician's instrument sound, notes, phrases, and voice sound and words, could modulate or otherwise affect those of other musicians’ audio in real time. Musicians playing together, but with multiple parallel channels, strata, layers as manifestation of each person's music creativity, intuition, telepathy, and persona. The individual's musical shape shifting made possible with electronic tools and media. The Seastones vocals and sung words were written over four years. Voices and instruments integrated into one sound world creating a continuum between spoken and sung language and music and sound, and in establishing continual metamorphoses of one into the other. Words as moment forms themselves, and as textual resonances becoming deep electronic sound.